There are many reasons why stock may be considered surplus. For example, a supplier may have a cancelled or incorrect order, no space for new stock or a product might be close to code. This can leave primary producers, wholesalers, distributors and manufacturers with tonnes of surplus food and a lack of time or the contacts to re-sell it. Suppliers provide product details and information to Yume, which is uploaded to the marketplace and made available to a growing network of buyers. Buyers can sort products by category, price, best before date, deal size, and even receive notifications about new products that have been added to the platform. Products are sold at a minimum of 20% below regular wholesale prices. Yume facilitates a seamless transaction between the buyer and supplier. Yume helps to arrange the delivery of goods between the buyer and supplier at a time that is convenient for both parties. Yume can facilitate donations to a growing network of registered food rescue organisations, helping ensure edible food gets to the people who need it most. Start saving on food costs. 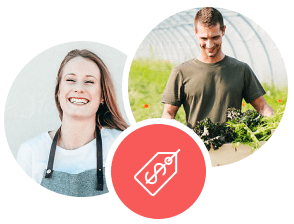 For buyers, Yume helps reduce costs of goods on a regular basis by offering discounted quality products (at a minimum of 20% below regular wholesale prices). For suppliers, we help increase sales by selling quality produce that might otherwise have gone to landfill. Each year, 3.9 million tonnes of quality food is discarded by the Australian commercial food sector, and it’s estimated that between 400,000 and 600,000 tonnes of quality, edible food could be rescued. By using Yume, you’re becoming part of the solution, generating a measurable positive impact on the environment. Yume’s no-waste mission ensures that any produce that isn’t sold on the platform can be offered for donation to one of our food partner charities around Australia. 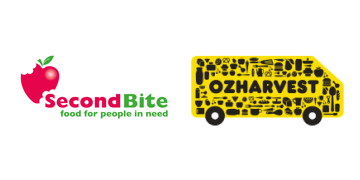 These include OzHarvest, and SecondBite.